Is Maradona right to sue Konami over his appearance in PES 2017? Without question, the man named Diego Armando Maradona is one of the best players to ever have set foot on a soccer pitch. Particularly memorable was his match against England in the 1986 World Cup, in which he led Argentina to victory after scoring two incredible goals. And his “hand of God” opener for Argentina in that game surely is one of the best-known goals in history. Maradona was also the protagonist of some of the biggest transfers ever, with clubs like Napoli and Barcelona paying obscene amounts of money for his sevices, even though his run at the latter club wasn’t so great though. Plus Maradona also did not find that much success as a manager later on, with his Argentina side failing to make it past the quarter finals in the 2010 World Cup. So given that many consider Maradona the greatest footballer ever, it makes sense that he’s appeared in the major footie games released to date, including EA Sports’ FIFA and Konami’s Pro Evolution Soccer (PES for short). The footie star did not appear to be particularly happy about his appearance in Konami’s latest PES 2017 game, though. Actually, Maradona is now threatening to take Konami to court, stating on his Facebook page that that Japanese company Konami “uses my image for its game PES 2017”, and adding that his lawyer “will initiate the corresponding legal actions”. And it’s clear that Konami made a mistake by featuring Maradona’s likeness in PES 2017 without consulting him. 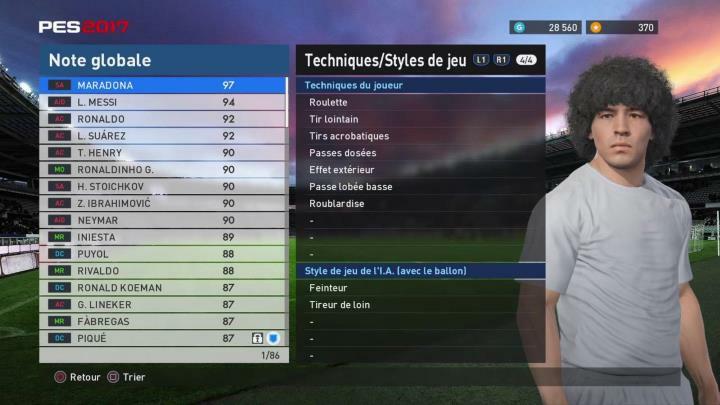 In the game, Maradona appears in the “myClub” mode, which allows players to create their dream team by picking some of the greatest players in history like Ronald Koeman, Thierry Henry and Maradona himself. Maradona lead Argentina to glory in the 80’s, and now he’s taking Konami to court over his appearance in PES 2017. It can be argued, though, that there’s some logic to Konami featuring Maradona in PES 2017 without compensating him. 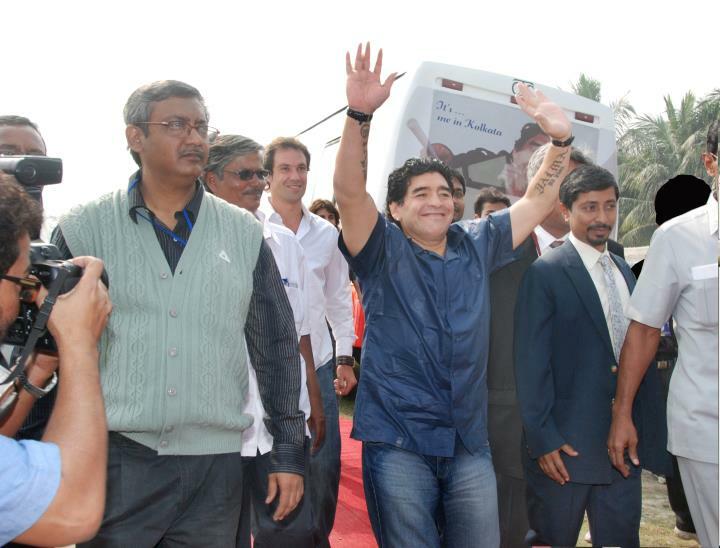 After all, Maradona retired from the sport way back in 1997, meaning he is long gone from the soccer scene. He now holds a position at FIFA, but it’s clear his time as a player has been over for a very long time. Plus it’s unlikely Konami paid compensation to the likes of Gary Lineker or Stoichkov (who also appear in the game’s myClub mode), given those players retired from the sport ages ago. Of course, Maradona is considered the greatest player of all time by many, and is still known to footie fans the world over, but in Konami’s defence it must be said that he’s actually the top-rated player in PES 2017. So his appearance in the game could be considered more of a tribute than anything. There’s another reason why Maradona might want to go after Konami here, though. The reason is that the former star was barred from entering Japan in 2002, something that was widely publicised at the time. This he wanted to do in order to attend the World Cup taking place in the Asian country that year, but was denied a visa due to his past drug-related offences. So Maradona might want to go after Konami in this case due to it being a Japanese company and all, even if it’s unlikely he is driven by resentment here. In the end, though, the reasons might have nothing to do with this, and Maradona just wants to be adequately compensated taking into account his worldwide recognition as one of the greatest sportsmen ever. So here’s hoping this turns out well for both parties, and PES 2017 players can keep enjoying what is another good instalment of the sports video game series.